Welcome to GEARS, the “Gateway Exploration, Adventure, and Research Scientists” hub – a place where innovation, experimentation and scientific phenomenon thrive. When a catastrophic event puts their life’s work in danger, our scientists need to put their heads together to preserve it, setting their sights on Mars. Will the scientists build a rocket ship in time? How do the other planets feel about humans landing on Mars? Is there anything GEARS can learn from their mistakes on earth and live sustainably on a new planet? 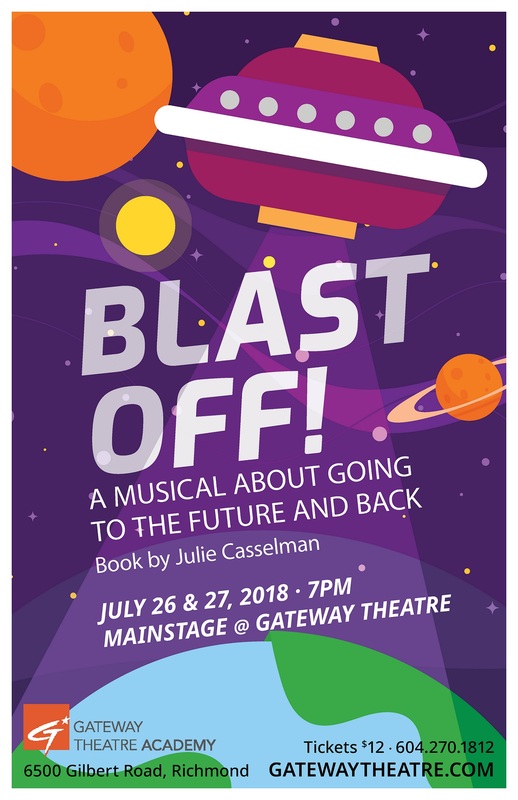 Infused with creative input from the cast, this zany musical is an exploration in space, growing up and being a kid. A fun musical for the whole family! or call the Box Office at 604-270-1812. Thursday, July 26 @ 7 p.m.
Friday, July 27 @ 7 p.m.